Teachers are taught to be proactive in reaching out to parents but unfortunately, this only seems to happen on a regular basis at formal Parent-Teacher functions such as Open House or Parent-Teacher night. Most schools have conference times that you can go to the school to see them, but many parents do not take advantage of this. Teachers tend to spend most of their time working on lesson plans, trying to keep up with state and local requirements, grading and recording work and preparing for classes. They have an average of 25-30 students in their class at a time. They are very busy. Still, it seems that sometimes the only time parents hear from them is when there is a problem. Granted, teachers should reach out on a regular basis whether there is a problem or not. Communication between teachers and parents is important. Most teachers try their best to do this, but they just feel overwhelmed by all of their other responsibilities. When this happens, you need to take the lead. Attend all Parent-Teacher Conferences– If you attend these conferences, you will make an impression on the teacher and the school as a parent that cares and wants to be involved. If you do this regularly, school staff will feel more comfortable in calling on you if there is an issue with your child in the future, whether good or bad. Developing this positive relationship at the onset is important to help build a sense of cooperation with teachers. Offer to Help– Some parents volunteer to help at Band Boosters, PTO events, or other occasions. This shows a sense of school spirit and teachers and administrators appreciate this. If you offer to help clean up or just be there to help with a school play, sports event, or other activity, they are much more likely to be responsive if you need something from them. Communicate with teachers via email– Schools are using their websites and email more frequently today to communicate with parents, send email or Twitter blasts, and other announcements to let parents and the community know what they are planning. This is a great way to keep abreast of school functions and events and gives you a direct line to your child’s teacher and school if you need to communicate with them. Drop your child’s teacher a line once in awhile to ask how your child is doing. Homework and assignments can be more easily coordinated this way. Attend sporting events. Even if you are not a sports fan or do not have a child playing in a sports event, attending school sporting events is a good way to meet and greet teachers, as well as other parents at your child’s school. Parents sometimes form their own ad hoc groups to help with various goals at the school. You may be able to connect with other parents more often by attending sports events. Coordinate homework efforts. With more iPads and iPhones, as well as other mobile technology being used in schools today, it is easier to coordinate efforts regarding homework assignments and communicate with teachers. Teachers often send digital notes or assignments via student iPads for parents to work on. Check with your child’s teacher to see if they are doing this. If not, why not suggest it? 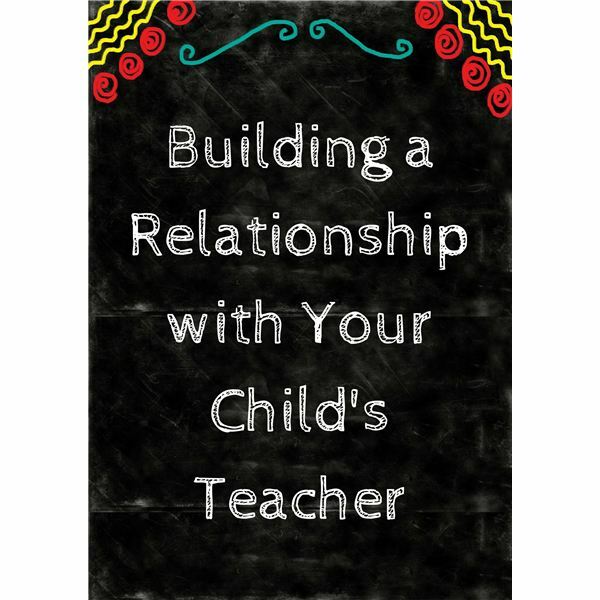 Effective collaboration and cooperation between teachers and parents starts with building positive relationships with teachers. If the teacher does not take the initiative, contact them via email or the school website and introduce yourself. Try to attend as many school events as possible and be present at all Parent-Teacher activities. Volunteer to help when you can and collaborate with other parents to increase your momentum. The best teachers will always be open to communication and interaction with their students’ parents. They realize that keeping the lines of communication open with parents is their best line of defense to helping kids. When teachers and parents work as a team to help kids, it’s like building a bridge for their future.